We are beginning to assess the possibility for the changes that you all have been seeking within your governments and political systems. We have been big supporters of all of you taking your power back, and we are not talking about taking that power back by voting or running for political office. 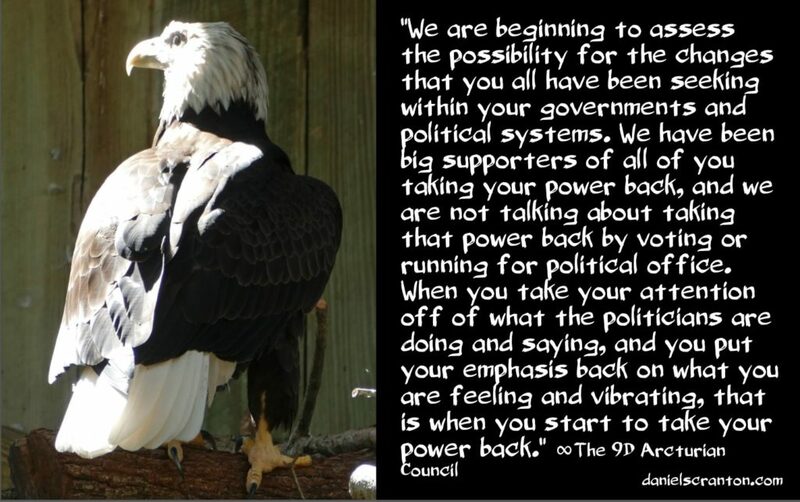 When you take your attention off of what the politicians are doing and saying, and you put your emphasis back on what you are feeling and vibrating, that is when you start to take your power back. And that is what it will take for you all to release yourselves from the grip that those in power have over you. The power is given to them, and it is given to them by those of you who think that they are somehow more significant players in how you live your lives and whether you live those lives in a state of joy than you are all yourselves. There was a time when humanity needed leaders to guide you, to give you a sense of morality, and to make you feel safe, but those days are behind you now, and it is time for you all to empower yourselves. And when you do, that will open the door for massive and sweeping changes to the way that you govern yourselves, to the world economy, and to the way that you experience contact with extra-terrestrials. We are telling you this because we want you all to see how much more powerful you are when you stop taking sides politically and you start embracing each other, regardless of beliefs, religion, or political affiliation. You need to unite first, and then you can see the changes that you want to see. And the key to that unification is taking your attention off of the news about politics and politicians and putting your attention back on yourselves. Go within, and feel how much power you have. We are considering the possibilities that you all have in front of you, and we know that you are also considering which timeline would be best for you as an individual and for the best possible experiences for the collective. We also recognize that many of you still believe certain things are just going to happen, no matter what. And we know this because we hear you asking and we see you speculating about what is going to happen, as though something could be set in stone. 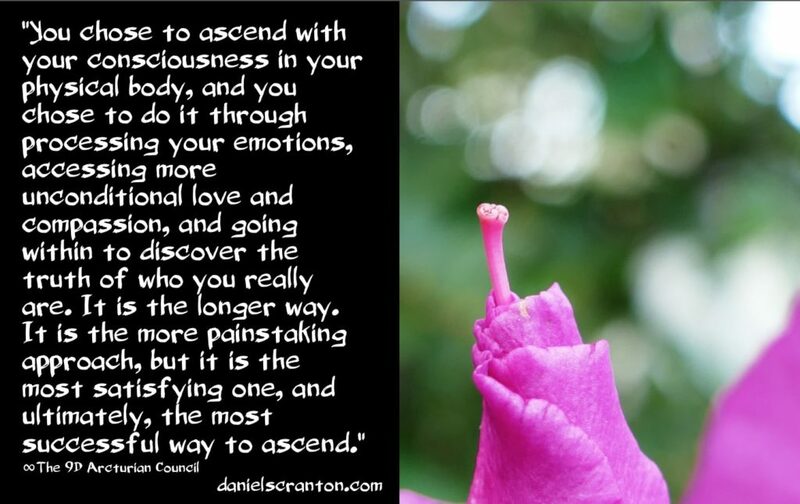 You are going to continue to ascend, and that is pretty much the only guarantee around. Now, we also see many of you putting your eggs into one basket. You hear about something that is going to happen at some point in the future, and you get fixated on it. This is true of many things, including what we have just told you is a guarantee. You don’t want to wait until the shift happens, or anything else happens, before you determine for yourselves what you want to be living in the here and now. We want you to remember that you create your reality, and whatever reality you choose to create, there will always be a version of the collective there with you. Therefore, if you want to experience something in your lives, do not wait for any prediction to come true before you start living it. We want more than anything else to empower all of you, and the best way that we can empower you is to remind you that you have the ability within you right now to feel how you want to feel, to vibrate in harmony with that which you want to experience. If you can take your minds off of the future long enough, you can create a pretty fantastic present for yourself, right here and right now. And you can expand that present moment out for all of eternity. We have been exploring the possibilities that exist for humanity now that you have been working so well with the energies you have been sent. We can see that new possibilities have opened up for you, and those possibilities involve a greater connection to the roots that you have there on planet Earth. 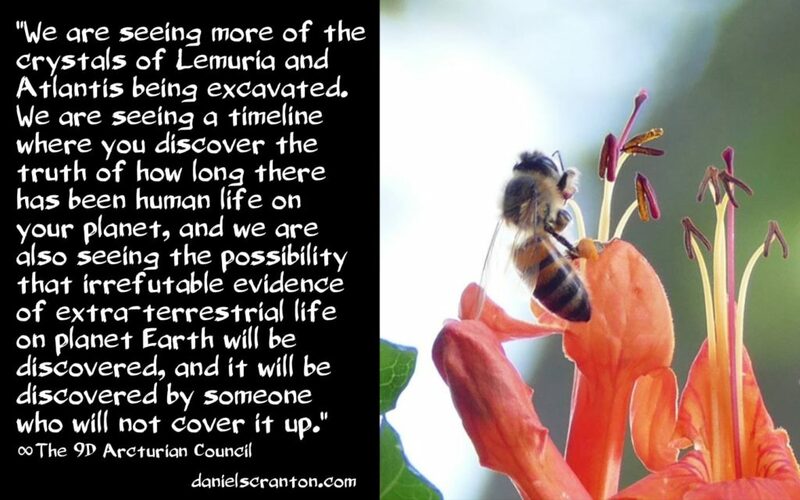 We are seeing more of the crystals of Lemuria and Atlantis being excavated. We are seeing a timeline where you discover the truth of how long there has been human life on your planet, and we are also seeing the possibility that irrefutable evidence of extra-terrestrial life on planet Earth will be discovered, and it will be discovered by someone who will not cover it up. Now, what all of this will do for all of you is yet to be determined. More possibilities will open up for you depending on how you handle all of that information as a collective. The information stored in the crystals from Lemuria and Atlantis are enough to take to humanity to new heights. 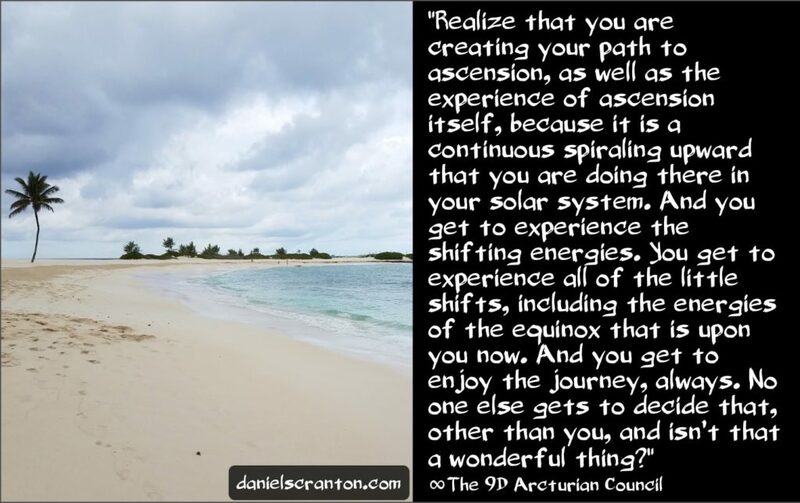 But with those discoveries that you have in your very probable future come the traumas, as many of you have yet to fully process the emotions you’ve experienced from the losses of Atlantis and Lemuria, and also from the experiences that you’ve had with extra-terrestrials. Of course, not all of them have been good, and we are referring to past life experiences with them as well. What you have shown yourselves to be ready for is an intense time, a time of information coming to you that many of us in the higher realms believe you can now handle. But you are the ones who must take it on and face it, and we are the ones who have faith in your ability to do just that.